Dhaka, 24 July, Abnews: Finance Minister AMA Muhith on Tuesday said only 3kg gold out of the 963kg stored in the Bangladesh Bank vault was adulterated. 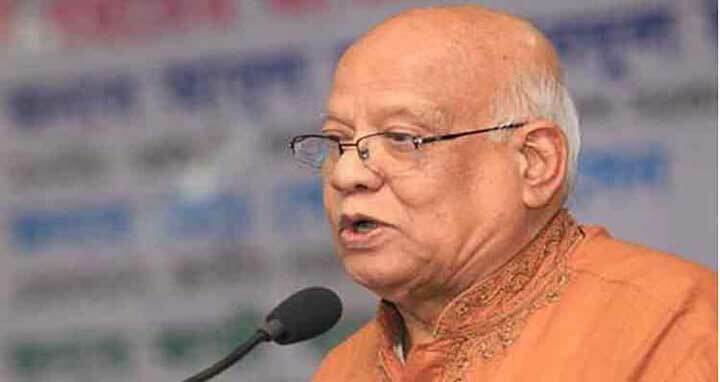 “The central bank doesn’t have any problem and that the allegation of gold adulteration in its vault is useless,” Muhith said while talking to reporters after the second session of the Deputy Commissioners’ Conference. Asked about the upcoming national election, he said once the atmosphere used to be very ‘heated’, but this time there has been no records of any ‘heat’ so far and that everything appears normal. The second session of the Deputy Commissioners’ Conference was held between the deputy commissioners and top officials from all the divisions of the Finance Ministry. Talking about the outcome of the session, the minister announced that all the project directors will be able to disburse the first 2-3 installments of their project’s allocated budget from July without requiring clearance from the Finance Ministry anymore.